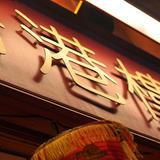 Eat in or take away at London's Hong Kong Buffet and choose from a variety of Oriental dishes. Do you work at Hong Kong Buffet? What did you think of Hong Kong Buffet? I've only been to Hong Kong once - the restaurant, not the city - but thoroughly enjoyed it. Not just Chinese food - Japanese and Cantonese too - and the staff at Hong Kong were really friendly. Result. Lukewarm food, over priced and appalling service. There's the 10% service charge that they don't tell you about until you get the bill. And the manager is incredibly rude, forcing us to leave because they were busy, even though we hadn't had too much to eat. I eat in London a great deal, and bring quite a lot of business with me. They are never going to get my custom again. Avoid. Avoid. Avoid!!!! worst restaurant ever! went here on thooe September 24th for my girlfriends 18th thinking it looked rather busy and food looked good, however all the food was cold, only good thing in the buffet was the drink but they were over priced. service was diabolical, they mix up the drink orders and when you ask for the right one they take 10 mins to get it to you. NOTE only go to this restaurant if you want over priced food poisoning and expensive drinks. If I could give Hong Kong Buffet zero stars I would! Visited on 13th June for my girlfriends Birthday. I've been to many different buffets around Chinatown over the last few years but never before to Hong Kong Buffet. They're 2-4 pounds more expensive than rival buffets and I thought this would be reflected in the food - not so! The soup was luke warm, the dumplings & prawn toast looked and tasted like it had been cooked 3-4 hours ago. After trying every dish and hoping I would find a nice selection of tasty dishes, the only dish which was nice was the satay chicken. During our 60min visit, we didn't see any fresh food being brought out. In summary; poor selection, luke warm, food had been sitting for hours. I approached the manager who told me if i had a problem i should of raised it immediately, rather than at the end. Well I'm sorry but I'm not going to keep going back after every course, as you don't assume that a restaurant would be that bad that everything bar one dish would be luke warm and not freshly cooked. I said I was happy to pay for the drinks but not the food and he said as a goodwill gesture, he would just charge me for the drinks. I think he misunderstood me as I wasn't paying for the food regardless of what he said. Great customer service would of been to apologise and give me the 2 beers on the house. Not so, I was charged for the 2 beers and 10% service charge on top. Will never be returning here and if anyone asks me to recommend a buffet in Chinatown, I'll be saying anywhere but Hong Kong Buffet. Overpriced, with a small selection of luke warm poor tasting dishes that had been sitting for hours! The fact it was a busy evening in Chinatown and there were more staff than customers in the restaurant should of made alarm bells ring in my head! Not the best place to eat... Not a whole heap of choice in food and freshly cooked food wasn't brought out that often. Dessert consisted of chunks of cantaloupe melon, orange slices and 'mango pudding' - which looked like custard that had been frozen and cut into cubes. The food that we did eat was OK, but some lacked in flavour, especially the satay chicken skewers. On the plus side the waitress service was quick and efficient. It also looked like a fairly clean establishment. One thing that did get to me was the fact they automatically added on a 10% service charge. I should have argued the toss, but I was too tired after a day of sightseeing. I didn't think the place warranted it personally and I don't like the way places like this assume its OK. Don't think we will be returning. China Buffet around the corner looked much more promising! Nice friendly staff, but the worst and most tasteless chinese food I have ever experienced. They obviously do not rely on return visits. 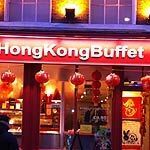 Visited Hong Kong Buffet over Chinese New Year on my visit to London, yes they were very busy, but still the food kept coming, hot, varied, v authentic Chinese dishes. Staff were friendly and helpful. We will be back. (our friends who took us there will be booking a 30th birthday party in the function room next month - karaoke!). 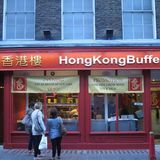 We visited Hong Kong Buffet with a group on voucher that claimed to be valid for three months seven days a week. We arrived sat afternoon during Chinese new year. Not being familiar with Chinese culture we were unaware of this. Once we started to eat we were aggressively told my manager that he did not want to start the new year by losing money to group-on vouchers! Staff are rude and Hong Kong Buffet is like a money making conveyor belt! Was totally embarrassing being shouted at in a full restaurant. Food below average and hospitality atrocious- would avoid at all costs!